I don't get the chance to share much about men's fashion or style. Armando, my photographer and significant other, does not really enjoy being in front of the lens for fashion shots, but he does like dressing up when he is inspired. He also enjoys shopping, albeit not as much as I me, but I don't think I am going to have to work to hard to convince him to join me Thursday, November 3 at 6 PM at San Francisco's Macy's Men's Store for the kick-off of the semi-annual Men's Style event. Besides being a fan of free events with tasty refreshments, he'll be able to enjoy 25% off Men's purchases of $75 or more. Even if he doesn't take advantage of this sale, I might to get an early start on my holiday shopping for the men in my life. The best part of this event? Celebrity stylist Keylee Sanders will be present offering styling tips on Macy's fall trends.You can join in on the party and shop new fall looks for men too! 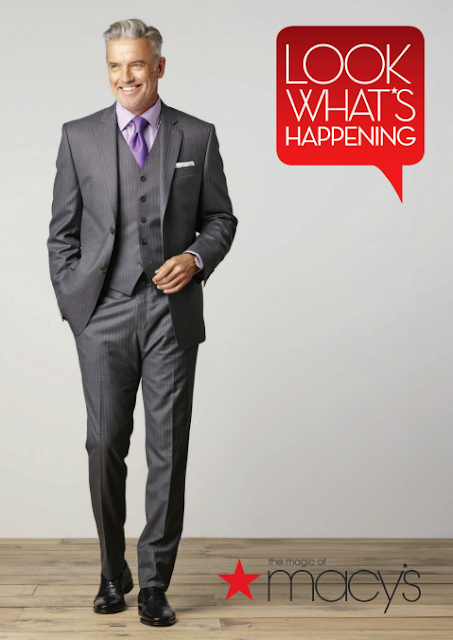 Details for the event can be found here, but check out Macy's website to see what festivities are happening near you http://bit.ly/MensStyle16. If you can't join the day of, follow the event on Instagram and Twitter by searching #MacysFashion.